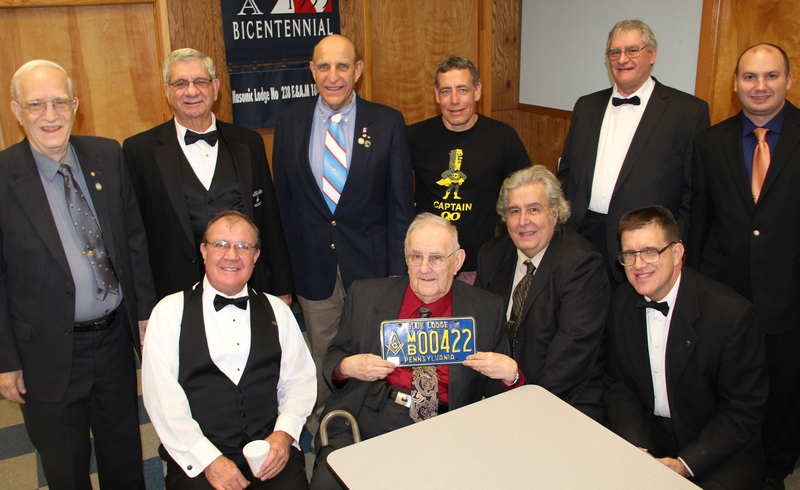 Pictured is Earl Boettger, 91, (holding license plate), of Tamaqua, hanging out with friends following a recent Masons meeting at their Blue Lodge in Hometown. Boettger has served 68 years as a Tamaqua Mason. 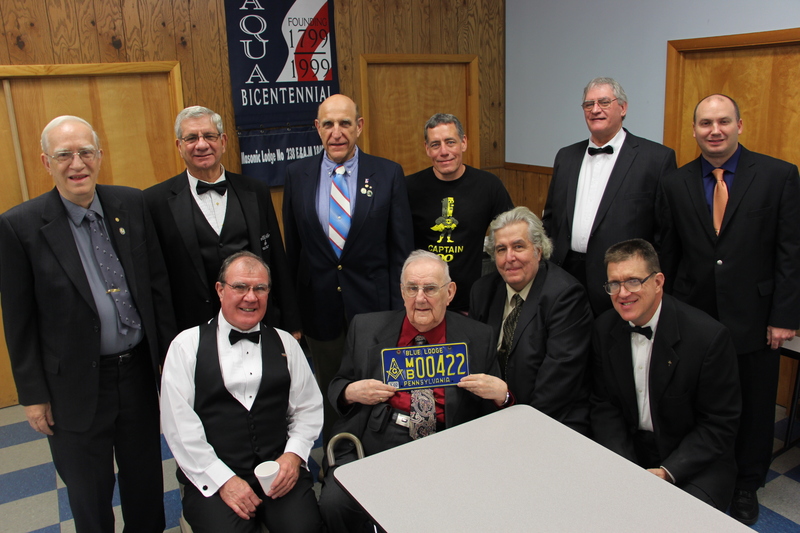 From front left are John Schickram, Worshipful Master, (a 30-year Mason); Earl Boettger; Ed Moran, Past Master, (a 33-year Mason); and David Billig, Past Master, (an 18-year Mason). 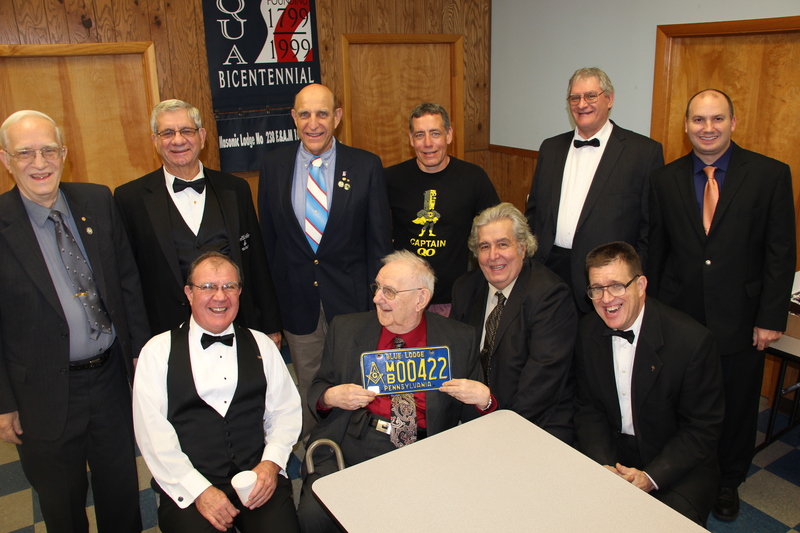 From back left are Chuck Klingaman, Past Grand Master and District Deputy, (a 40-year Mason); Robert Neff, District Deputy and Grand Master, (a 39-year Mason); David Schock (a 50-year member); Jerome Betz, Senior Warden, (a 3-year Mason), Mike Burns, secretary and Past Master, (a 23-year Mason); and Chris Klingaman, a 1-year Mason. For more information on the Masonic Lodge, contact any member of call Ed Moran at 570-573-7048.